Now they can afford a new Portacabin. Posted in Misc and tagged Belarus, Dundalk, FAI, League of Ireland at 9:35 am on August 3, 2016 by Aaron McAllorum. Still think it’s pretty pathetic. Any chance Lifestyle, Elverys etc will take the usual ManU and Chelsea jerseys out of their windows for a few days to give some LOI shirts some marketing? LOI winner pay day 140,000 euro, John Delanys annual salary 365,000 euro! Despite no support form the FAI the boys managed it! Now finally they will be guaranteed a big pay out. would have been more useful in Rio with the other hanger ons! 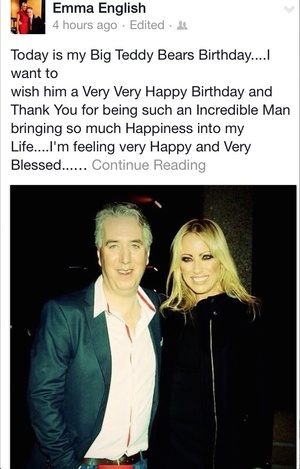 I’m delighted for them and for the LOI in general. Hopefully they can get to the group stages but if not the fall back to the Europa League groups is not a bad cushion. 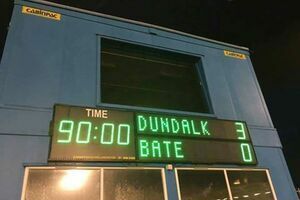 Fantastic win for Dundalk! Is it true that if they get through to the next round they get €7m? Guaranteed 6.3m I think, if they only make the Fairs Inter-City Cup groups. If they make the European Cup groups, it’s a lot more. BATE have qualified the last 4 years. Last year they beat Lazio 3-1 in qualifying and took 4 points from AS Roma in the group. As well as a point off Leverkusen. Barca bet them twice but didn’t hammer them. So, congratulations Dundalk. Amazing achievement. Borisov Automobile and Tractor Electronics, who are ye? Looking at last years figures BATE received €2.1m for participating in the playoff round that Dundalk have qualified for and then €8.6m for making the group stage. There is also money to be made from the TV market pool which is distributed based on the proportional value of each TV market. BATE made €1.265m from that last season, the lowest of any group stage team. Then of course there’s performance bonuses as well (€1m per group stage win). If they miss out on the group stages and end up in the Europa they will receive €2.4m for participation (on top of the €2.1m for the champions league qualifciation). The Tv rights share and performance bonuses are reduced but a group stage win will earn them €360K which is over twise what they earn for winning the LOI. Why the Guardian report? We have newspapers here too. We are not all West Britons. Perhaps BS has already used up their 20 IT articles per week. Then click on the Indo link. You’re not the only one here. Read the Indo? Have some self resepect. It’s really good for your self esteem but also depressing. Sort of like Domino’s pizza delicious flavoured round plastic discs.